A couple of weeks ago, at the end of August, our collective ear perked up at a possible sign of intelligent life out in the universe. The buzz was caused by a report that a Russian radio telescope detected a relatively strong signal at an unusual frequency for natural radio sources, from the direction of a star named HD 164595. If the radio signal came from star HD 164595, it would require nearly as much power as our civilization consumes. For those who saw the movie "Contact," this might have brought up images of Jodi Foster wearing a headset and looking quite startled by a very unambiguous intelligent radio signal of extraterrestrial origin. What a world-changer that would be! However, the apparent detection of the signal was nothing short of a whimper, one might even say, fizzle, as far as the E.T.-listening world is concerned. 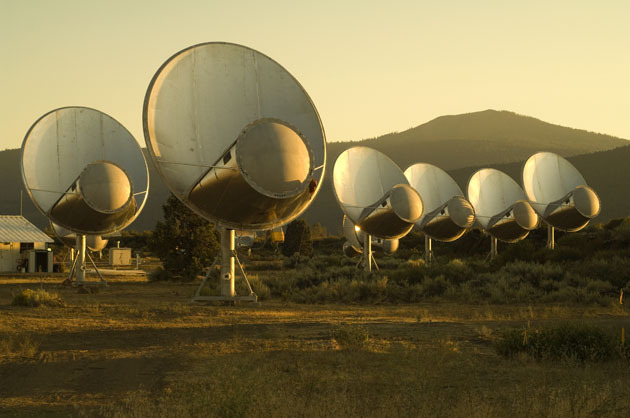 In response to the report, scientists at Mountain View's SETI Institute pointed the powerful radio-ear of its Allen Telescope Array at HD 164595 for a few hours on August 28 to see if the signal could be verified, though so far have not heard anything unusual. SETI stands for Search for Extraterrestrial Intelligence and the non-profit researches the origin, nature and prevalence of life in the universe. Looking at the HD 164595 E.T. rumor more soberly, and doing the math on the signal strength and the power necessary to produce it, it's evident that for the transmission to have originated from an intelligent civilization in that star system, the E.T.s' technology would have to exceed our own considerably. A general broadcast from that star, transmitted in every direction into space, would have required a hundred billion billion watts of power to produce the signal reported by the researchers. Yep, you read that right -- billion billion. That's millions of times more power than our own civilization currently consumes. Even a more efficient and targeted communication — say, a tightly focused radio beam directed intentionally at us — would require a trillion watts, nearly as much power as our entire civilization consumes. "Both scenarios require an effort far, far beyond what we ourselves could do," says SETI senior scientist Seth Shostak, "and it’s hard to understand why anyone would want to target our solar system with a strong signal." The E.T.-scenario supposes that the would-be denizens of HD 164595 know that a radio-receptive civilization exists on our planet, and want to send us a message. 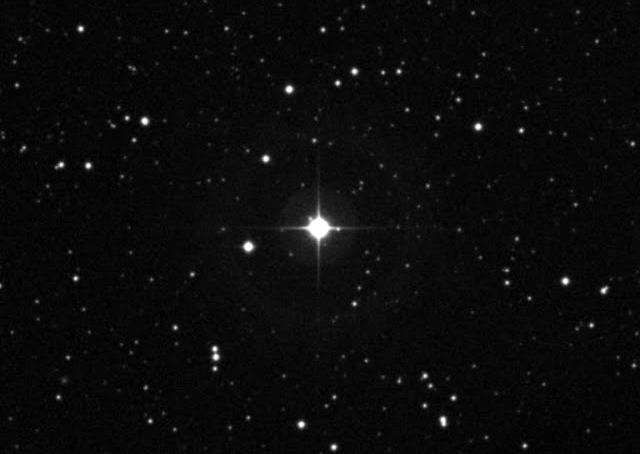 However, being 94 light years away, none of our own radio and television broadcasts will have reached them, and won't for another couple of decades (at which time "I Love Lucy" will be one of the first shows they see). So, the numbers just don't add up to explaining the observation as E.T.-originated — not without some extraordinary assumptions. Nevertheless, we keep on listening for signals of extraterrestrial, intelligent origin. The payoff could be huge, if we ever detect any. If E.T. sends us a directed message, "Dear people of the planet Earth…," what would it consist of? Design instructions for advanced technologies? Descriptions of the life and times of the people on their planet? A simple hello? Or possibly, "Look out, Earthlings, here we come…." Just knowing that another intelligent, technological civilization exists elsewhere in the universe would be a mind-blowing thing, even if all we detect are weak and inadvertent broadcasts of E.T. 's version of "Gilligan's Island."